George Lopez has found a new gig to replace his late-night TV show on TBS, and it sends him cruising? 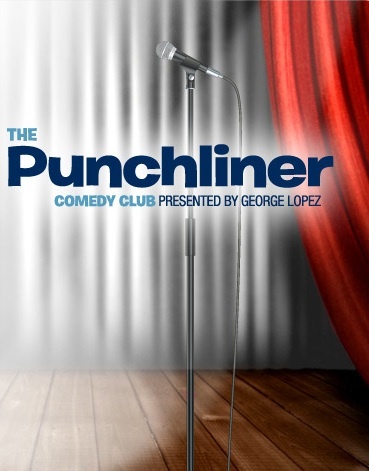 Carnival Cruise Lines announced this week that it had hired Lopez to become the line’s “comedy curator,” and will rebrand its Punchliner Comedy Clubs as Punchliner Comedy Clubs Presented by George Lopez, with the first one debuting on the 2,974-passenger Carnival Liberty later this month. Here’s the deal: Lopez will consult on the vetting and hiring of comedic talent for the line’s existing fleetwide comedy clubs. So if you’re a comic used to working on cruises and specifically on Carnival, better hope Lopez likes you. Wonder if Lopez’s hire will result in a big change in who works the ships. Also as part of the deal: Carnival ships will feature Lopez stand-up on the in-cabin TVs, and pre-recorded instructions from Lopez at the live shows, plus there will be new Punchline Comedy Brunches, as well as a comedy-themed consumer contest in 2012. Carnival’s comedy clubs offer five 35-minute shows on multiple nights during each voyage, with at least two comedians performing each night. The Lopez deal is part of Carnival’s Fun Ship 2.0 initiative — the cruise line also announced partnerships with Guy Fieri for new burger joints, EA Sports for sports bars, Hasbro for live interactive shows and DJ Irie filling a similar training/consulting capacity for the ship’s on-board DJs. And Carnival is taking your suggestions in its Fun Ship 2.0 Lab for what you’d like to see George Lopez do with the new Punchliner clubs. So. What would you suggest?